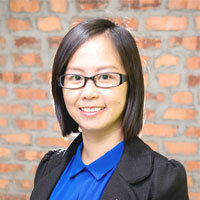 Tan Chye En （陈洁音）pursued her LLM in University of Hertfordshire after she graduated in law from the University of London (External) and joined Chur Associates in September 2006 as Manager of Real Estate. She is under the lead of Ting Ting and Noelle Khoh. The teammates including the lawyers Farah and Michelle Oh, and supported by Yati, Dila, Kaecy, Aina, Sharifah, and Zulaika. As part of Real Estate team and the legal background, she is a strong support for sales and purchase transaction especially sub sales. And her experiences in this property conveyancing portfolios allowed her to support the project sales as well. In term of communication, Chye En is proficient in Chinese, English and Malay. And she is able to speak Mandarin, Cantonese and Hokkien fluently. The multilingual enables her to understand the clients (local and foreigner) better and helps them to solve the issue. Chye En is also the first DeCAdian that received 10 years awards from Chur Associates on year 2016. Along her years of service in CA, she is practicing Team, Approachable, Accountable and Understanding.